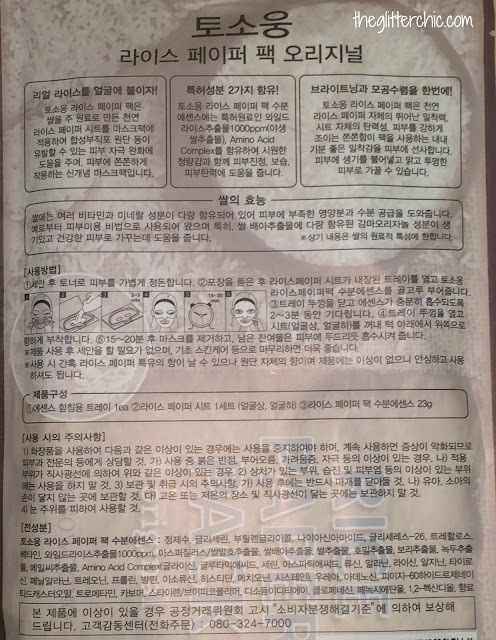 Ingredients: [Cosdna analysis] Water, Glycerin, Butylene Glycol, Niacinamide, Glycereth-26, Trehalose, Betaine, Wild Rice Extract (1000ppm), Aspergillus/ Rice Ferment Extract, Oryza Sativa Germ Extract, Oryza Sativa Extract, Secale Cereale Seed Extract, Barley, Phaseolus radiatus seed extract, Polygonum Fagopyrum Seed Extract, Amino Acid, Urea, Adenosine, PEG-60 Hydrogenated Castor Oil, Tromethamine, Carbomer, Styrene/VP Copolymer, Disodium EDTA, Chlorphenesin, Phenoxyethanol, 1,2-Hexanediol, Fragrance. Directions: Open the mask tray and pour all the essence in it. Close the tray and leave it for 5 minutes until the essence forms a gel-like mask. Place the mask onto the face and leave it for 15 to 20 minutes. After 15 to 20 minutes, remove and pat gently for better absorption. 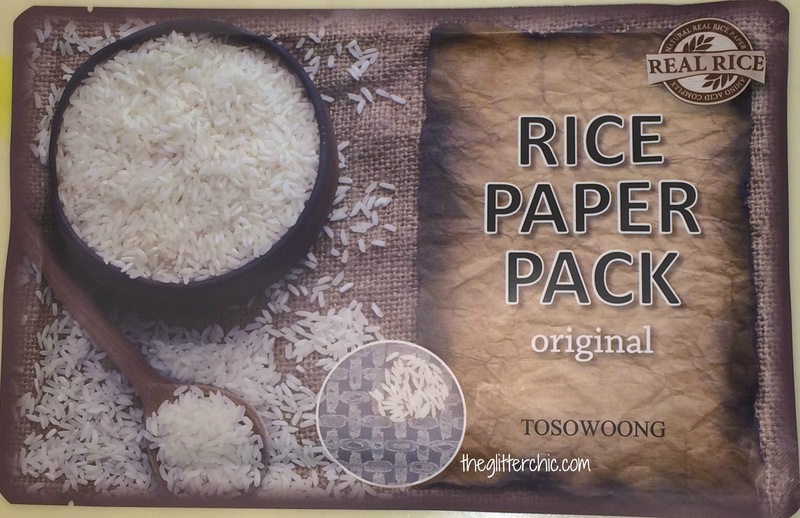 Performance: The Rice Paper Pack from Tosowoong comes in a large foil packet to house the tray holding the two dried rice paper pieces. 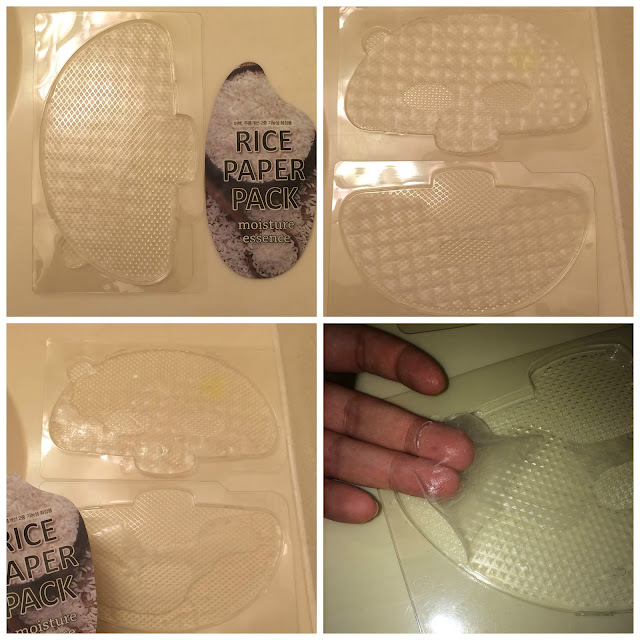 Inside the large packet is a tray that unfolds to reveal the two mask halves (which tears in half to create a rehydration tray for each piece) and a small packet holding the mask essence that rehydrates the rice paper. After separating the tray and placing one rice paper in each tray, divide the essence between them, and allow the papers to absorb the essence for ~5 minutes. At this point, the mask will have absorbed the essence and turned the paper into a gel-like mask piece. In my experience the paper does absorb the essence, but it's not enough and parts of the paper are still a bit stiff, and the papers are still so dry that they don't want to lay out flat once you remove them from the tray. When trying to apply each piece to my face, the edges of each piece rolled up into itself, and it was too dry to adhere to my skin properly. Despite my best efforts to be delicate, the mask too dry to function properly, and just ended up tearing as I tried to lay it straight. Verdict: Because of the dryness and the masks' inability to stick my face well, I was only able to wear the mask for about 5 minutes. At this point my face was itching, and uncomfortable. 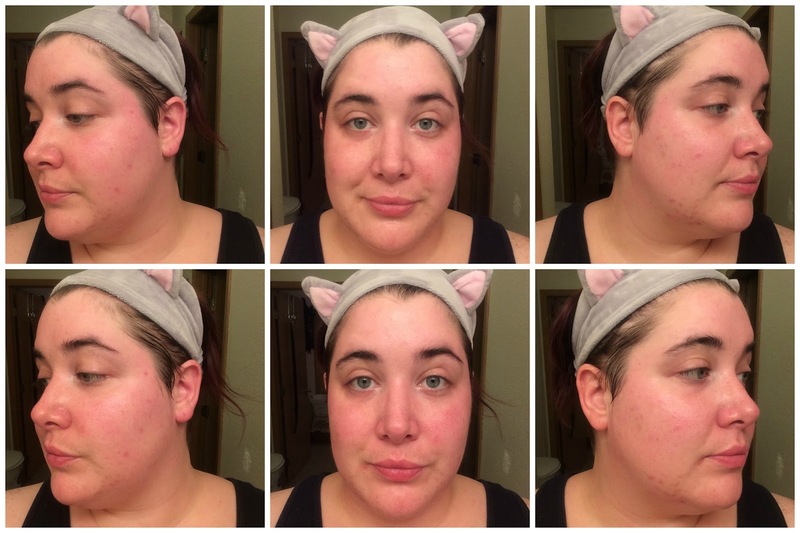 I removed the mask, surprised that some redness had already disappeared from my complexion. 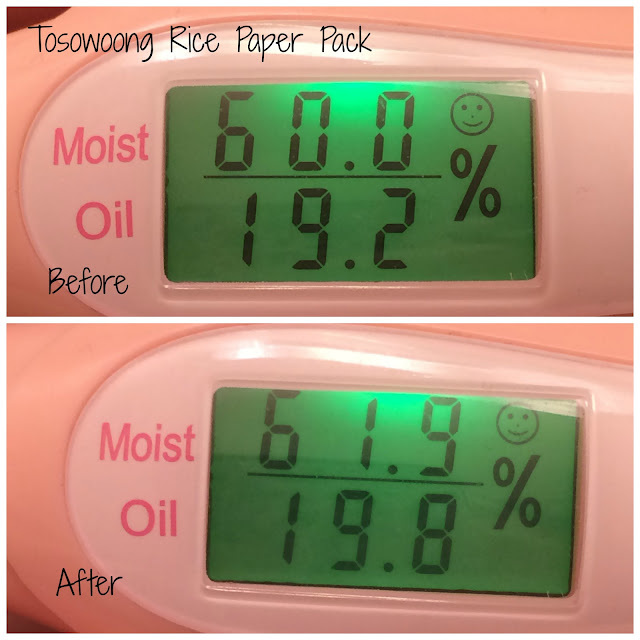 I only experienced a 3% increase in moisture, but this isn't bad at all considering how short of a period of time I actually had the mask on my face. 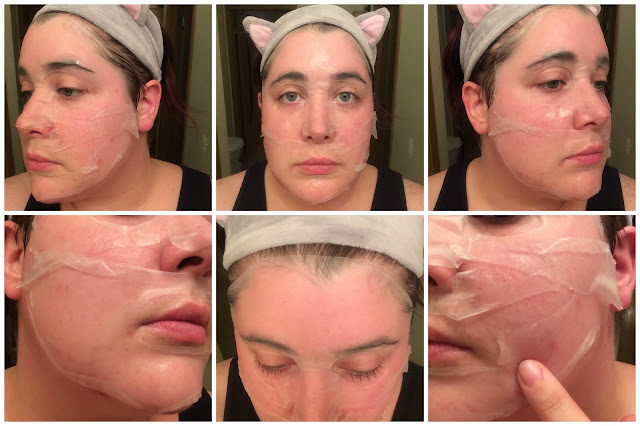 After this experience I'd be compelled to say that this was a poor masking experience and I wouldn't try it again, but maybe with some extra water added this mask would perform a bit better?